As discussed in another question, on why Matthew, Mark, and Luke didn't mention the raising of Lazarus, this miracle is only related in John 11 – the Synoptics, though they presumably knew about it, didn't include such an apparently spectacular and pivotal miracle. A number of explanations have been provided, but one in particular has been around a long time: that Matthew, Mark, and Luke were written during Lazarus's (second) lifetime, and that they did not want to expose Lazarus to persecution from the Jews (cf. John 12:9–11). In the context of church history, the word "ancient," at least to me, indicates the early church period – ending around the 6th century. However, I've not found any reference to this theory in the several early commentators I've checked – Augustine, Chrysostom, Eusebius – or in Aquinas's commentary on John. What is the origin of this particular explanation of the Synoptic silence on Lazarus? Does it have truly "ancient" origins, or is Hugo Grotius its originator? Reconsidering Johannine Christianity: A Social Identity Approach, by Raimo Hakola, page 17 and 18, elaborates that Hugo Grotius (d. 1645) was the first to theorize this need for not mentioning Lazarus with Matthew and Mark, yet further, according to [Richard] Bauckham that as for Luke, certain more intimidating details like a person being raised from the (3rd day, definitely) dead may have been left out for political reasons; to make the Christians seem less threatening. From one miracle to the next, there is one more detail of significance to the raising of Lazarus. I have heard audible discussions of professors of ancient religion at Brigham Young University (difficult to source) include mention of a belief of the Jews at that time that a person is really finally dead and the spirit is finally left after three days, hence the drama and added uncertainty that might be directed at anyone who could then raise that person alive again. Even without that detail, this was the pinnacle of miracles publicly accepted as literal facts that could not reasonably be denied at the time (John 11:44-48). [ and ] denote a guess of which Bauckham that Raimo was referring to. Evidently the idea for why the raising of Lazarus is not mentioned in the Synoptic Gospels is known as "protective anonymity". Grotius' comment about "ancient" appears to reflect the various anonymous accounts in the Gospels of other events. For example in Mark, the "naked man" who ran off or the disciple who cut off the ear of the servant are anonymous presumably to protect them from the authorities. But there doesn't appear to be any other sources that I can find who actually outline this "protective anonymity" idea prior to Grotius. Not the answer you're looking for? 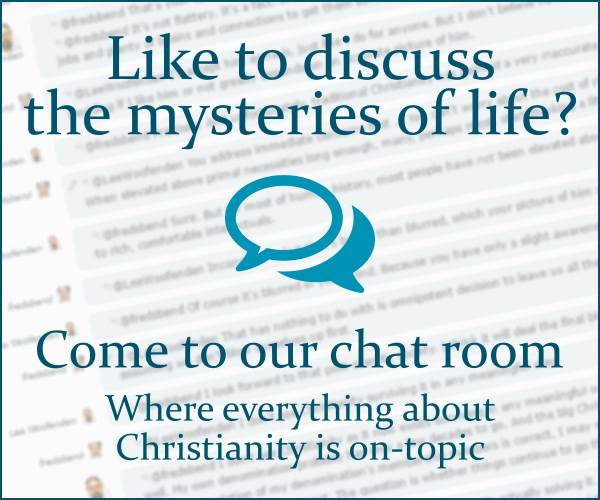 Browse other questions tagged church-history gospel-of-john gospels origin resurrection or ask your own question. What first century Jews were claimed to have risen from the dead?